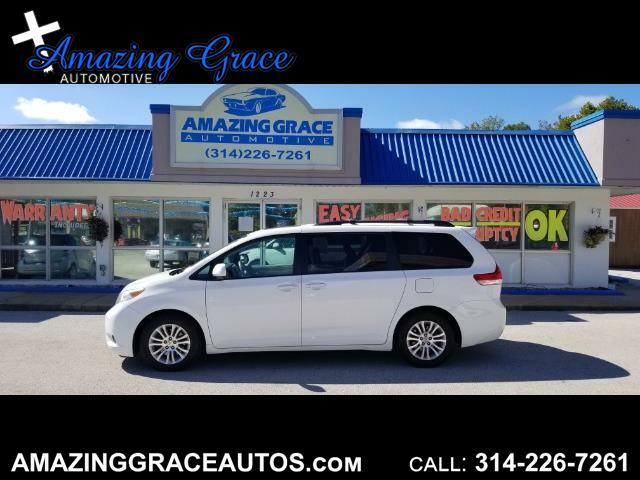 This is a beautiful ONE OWNER 2011 Toyota Sienna XLE that is fully loaded! Very clean inside and out! Non Smoker! This Sienna spent it's life driving the roads of Illinois, so it is a semi local vehicle. You can really tell when someone took good care of a vehicle and it really shows in this van! I'm guessing an older person drove it. The back seats look like they were rarely sat in. The interior is in excellent condition! Plenty of room for the everyone with seating for up to 8 passengers! Dual Sliding Doors and Power Hatch (everything works great!). This Sienna is powered by a strong and fuel efficient 3.5L V6 that is paired with a smooth shifting 6 speed Automatic transmission with overdrive! This Sienna has tons of great features like Heated Leather Seats, Power Moonroof, DVD Entertainment System, Bluetooth Wireless, Backup Camera, Keyless Entry, Premium Pkg, Traction Control, Stability Control, 4 Wheel ABS Brakes, Anti-Theft System, Rear AC, Cruise, Steering Wheel Controls, Tilt and Telescoping Steering, AM/FM/CD/MP3, Auxiliary Port, Premium Sound System, XM Radio, front and side airbags, Knee Airbags, Fog Lights, Alloy Wheels and so much more!